The FCC has proposed to deny an application from China Mobile, a state-owned telecom, to provide interconnect and mobile services here in the U.S., citing security concerns. It’s another setback to the country’s attempts to take part in key portions of American telecommunications. China Mobile was essentially asking to put call and data interconnection infrastructure here in the U.S.; It would have come into play when U.S. providers needed to connect to Chinese ones. Right now the infrastructure is generally in China, an FCC spokesperson explained on a press call. In a draft order that will be made public tomorrow and voted on in May, FCC Chairman Ajit Pai moves to deny the application, which has been pending since 2011. Such applications by foreign-owned entities to build and maintain critical infrastructure like this in the U.S. have to pass through the Executive, which only last year issued word that it advised against the deal. It is clear that China Mobile’s application to provide telecommunications services in our country raises substantial and serious national security and law enforcement risks. Therefore, I do not believe that approving it would be in the public interest. National security issues are of course inevitable whenever a foreign-owned company wants to be involved with major infrastructure work in the U.S., and often this can be taken care of with a mitigation agreement. This would be something like an official understanding between the relevant parties that, for instance, law enforcement in the U.S. would have access to data handled by the, say, German-owned equipment, and German authorities would alert U.S. about stuff it finds, that sort of thing. But that presupposes a level of basic trust that’s absent in the case of a company owned (indirectly but fully) by the Chinese government, the FCC representative explained. It’s a similar objection to that leveled at Huawei, which given its close ties to the Chinese government, the feds have indicated they won’t be contracting with the company for infrastructure work going forward. It’s likely to further strain relations between our two countries, though the news likely comes as no surprise to China Mobile, which probably gave up hope some time around the third or fourth year its application was stuck in a bureaucratic black hole. The draft order will be published tomorrow, and will contain the evidence and reasoning behind the proposal. It will be voted on at the FCC open meeting on May 9. Back in March came the surprising news that a satellite communications company still more or less in stealth mode had launched several tiny craft into orbit — against the explicit instructions of the FCC. The company, Swarm Technologies, now faces a $900,000 penalty from the agency, as well as extra oversight of its continuing operations. 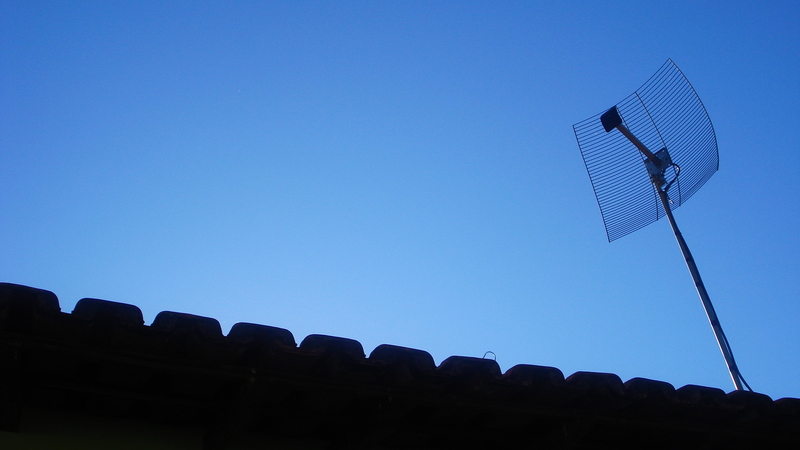 Swarm’s SpaceBEEs are the beginning of a planned constellation of small satellites with which the company intends to provide low-cost global connectivity. Unfortunately, the units are so small — about a quarter the size of a standard cubesat, which is already quite tiny — that the FCC felt they would be too difficult to track, and did not approve the launch. The investigation found that Swarm had launched the four BEEs using an unaffiliated launch company in India and had unlawfully transmitted signals between earth stations in Georgia and the satellites for over a week. In addition, during the course of its investigation, the FCC discovered that Swarm had also performed unauthorized weather balloon-to-ground station tests and other unauthorized equipment tests prior to the small satellites launch. All these activities require FCC authorization and the company had not received such authorization before the activities occurred. Not good! As penance, Swarm Technologies will have to pay the aforementioned $900,000, and now has to submit pre-launch reports to the FCC within five days of signing an agreement to launch, and at least 45 days before takeoff. The company hasn’t been sitting on its hands this whole time. The unauthorized launch was a mistake to be sure, but it has continued its pursuit of a global constellation and launched three more SpaceBEEs into orbit just a few weeks ago aboard a SpaceX Falcon 9. 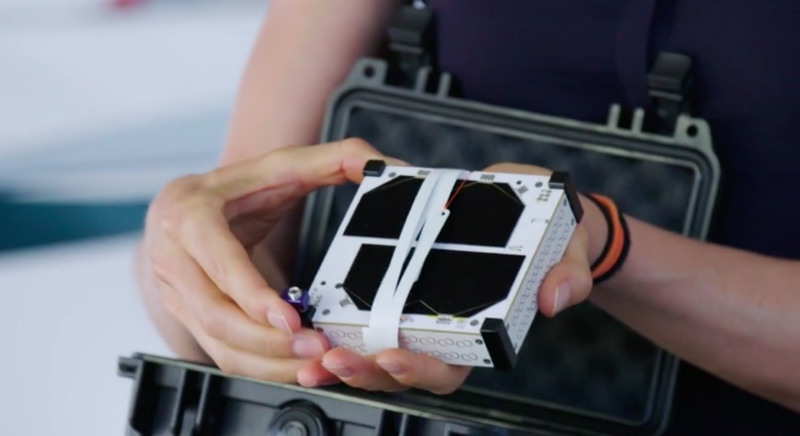 Swarm has worked to put the concerns about tracking to bed; in fact, the company claims its devices are more trackable than ordinary cubesats, with a larger radar cross section and extra reflectivity thanks to a Van Atta array (ask them). SpaceBEE-1 is about to pass over Italy as I write this — you can check its location live here. The FCC’s space-focused meeting today had actions taken on SpaceX satellites and orbital debris reduction, but the decision most likely to affect users has to do with Galileo . No, not the astronomer — the global positioning satellite constellation put in place by the E.U. over the last few years. It’s now legal for U.S. phones to use, and a simple software update could soon give your GPS signal a major bump. 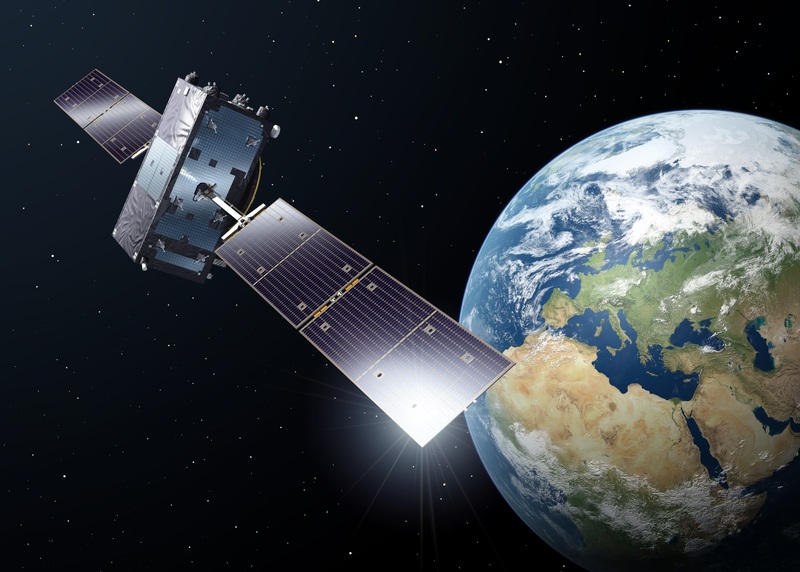 Galileo is one of several successors to the Global Positioning System that’s been in use since the ’90s. But because it is U.S.-managed and was for a long time artificially limited in accuracy to everyone but U.S. military, it should come as no surprise that European, Russian and Chinese authorities would want their own solutions. Russia’s GLONASS is operational and China is hard at work getting its BeiDou system online. The E.U.’s answer to GPS was Galileo, and the 26 (out of 30 planned) satellites making up the constellation offer improved accuracy and other services, such as altitude positioning. Test satellites went up as early as 2005, but it wasn’t until 2016 that it began actually offering location services. 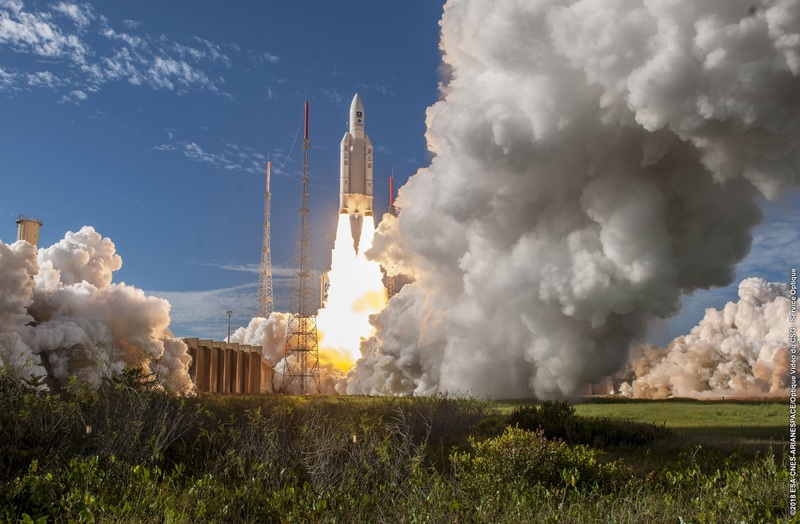 A Galileo satellite launch earlier this year. When a company sells a new phone, it’s much easier to just make a couple million of the same thing rather than make tiny changes like using a wireless chipset in U.S. models that doesn’t support Galileo. The trade-off in savings versus complexity of manufacturing and distribution just isn’t worthwhile. The thing is, American phones couldn’t use Galileo because the FCC has regulations against having ground stations being in contact with foreign satellites. Which is exactly what using Galileo positioning is, though of course it’s nothing sinister. Interestingly enough, however, your phone may already be using Galileo without your or the FCC’s knowledge. Because the capability is behind a software lock, it’s possible that a user could install an app or service bringing it into use. Perhaps you travel to Europe a lot and use a French app store and navigation app designed to work with Galileo and it unlocked the bands. There’d be nothing wrong with that. Or perhaps you installed a custom ROM that included the ability to check the Galileo signal. That’s technically illegal, but the thing is there’s basically no way for anyone to tell! The way these systems work, all you’d be doing is receiving a signal illegally that your phone already supports and that’s already hitting its antennas every second — so who’s going to report you? If you read the record in this proceeding and others like it, it becomes clear that many devices in the United States are already operating with foreign signals. But nowhere in our record is there a good picture of how many devices in this country are interacting with these foreign satellite systems, what it means for compliance with our rules, and what it means for the security of our systems. We should change that. Technology has gotten ahead of our approval policies and it’s time for a true-up. She isn’t suggesting a crackdown — this is about regulation lagging behind consumer tech. Still, it is a little worrying that the FCC basically has no idea, and no way to find out, how many devices are illicitly tuning in to Galileo signals. Expect an update to roll out to your phone sometime soon — Galileo signals will be of serious benefit to any location-based app, and to public services like 911, which are now officially allowed to use the more accurate service to determine location. The White House has issued a memorandum outlining the need for a new national wireless connectivity strategy; the document doesn’t really establish anything new, but does request lots of reports on how things are going. Strangely, what it proposes sounds a lot like what the FCC already does. The memorandum, heralded by a separate post announcing that “America Will Win the Global Race to 5G,” is not exactly a statement of policy, though it does put a few things out there. It’s actually more of a request for information on which to base a future policy — apparently one that will win us a global race that began years ago. In fact, the U.S. has been pursuing a broad 5G policy for quite a while now, and under President Obama we were the first country to allocate spectrum to the nascent standard. But since then progress has stalled and we have been overtaken by the likes of South Korea and Spain in policy steps like spectrum auctions. After some talk about the “insatiable demand” for wireless spectrum and the economic importance of wireless communications, the memo gets to business. Reports are requested within 180 days from various Executive branch departments and agencies on “their anticipated future spectrum requirements,” as well as reviews of their current spectrum usage. The Office of Science and Technology Policy is asked to report in the same time period on how emerging tech (smart homes and grids, for instance) could affect spectrum demand, and how research and development spending should be guided to improve spectrum access. It’s not exactly ambitious; the terms are vague enough that one would expect any new legislation or rules to accomplish or accommodate these things. One would hardly want a spectrum policy that decreased access and transparency. In fact, the previous administration issued spectrum memos much like these, years ago. Meanwhile, this fresh start may frustrate those in government who are already doing this work. The FCC has been pursuing 5G and new spectrum policy for years, and it’s been a particular focus of Chairman Ajit Pai. He proposed a bunch of rules months ago, and just yesterday there was a proposal to bring Wi-Fi up to a more compatible and future-proof state. It’s entirely possible that the agency may have to justify and re-propose things it’s already doing, or see those actions and rules questioned or altered by committees over the next year. From what I heard this whole effort from the White House was pursued without much participation from the FCC. I’ve contacted the Chairman’s office for details (he’s out of the country presently and had no prepared statement, which may give you an idea of his level of involvement). FCC Commissioner Jessica Rosenworcel was not enthusiastic about the memo. Whether this new effort will yield worthwhile results, we’ll know in 270 days. Until then the authorities already attempting to make the U.S. the leader in 5G will continue doing what they’re doing. The FCC is pushing for speedy deployment of 5G networks nationwide with an order adopted today that streamlines what it perceives as a patchwork of obstacles, needless costs and contradictory regulations at the state level. But local governments say the federal agency is taking things too far. 5G networks will consist of thousands of wireless installations, smaller and more numerous than cell towers. This means that wireless companies can’t use existing facilities, for all of it at least, and will have to apply for access to lots of new buildings, utility poles and so on. It’s a lot of red tape, which of course impedes deployment. To address this, the agency this morning voted 3 to 1 along party lines to adopt the order (PDF) entitled “Accelerating Wireline Broadband Deployment by Removing Barriers to Infrastructure Investment.” What it essentially does is exert FCC authority over state wireless regulators and subject them to a set of new rules superseding their own. First the order aims to literally speed up deployment by standardizing new, shorter “shot clocks” for local governments to respond to applications. They’ll have 90 days for new locations and 60 days for existing ones — consistent with many existing municipal time frames but now to be enforced as a wider standard. This could be good, as the longer time limits were designed for consideration of larger, more expensive equipment. On the other hand, some cities argue, it’s just not enough time — especially considering the increased volume they’ll be expected to process. The proposed ‘shot clocks’ would unfairly and unreasonably reduce the time needed for proper application review in regard to safety, aesthetics, and other considerations. By cutting short the necessary review period, the proposals effectively shift oversight authority from the community and our elected officials to for-profit corporations for wireless equipment installations that can have significant health, safety, and aesthetic impacts when those companies have little, if any, interest to respect these concerns. Next, and even less popular, is the FCC’s take on fees for applications and right-of-way paperwork. These fees currently vary widely, because as you might guess it is far more complicated and expensive — often by an order of magnitude or more — to approve and process an application for (not to mention install and maintain) an antenna on 5th Avenue in Manhattan than it is in outer Queens. These are, to a certain extent anyway, natural cost differences. The order limits these fees to “a reasonable approximation of their costs for processing,” which the FCC estimated at about $500 for one application for up to five installations or facilities, $100 for additional facilities, and $270 per facility per year, all-inclusive. An annual fee of $270 per attachment, as established in the above document, is unconscionable when the facility may yield profits, in some cases, many times that much in a given month. The public has invested and installed these assets [i.e. utility poles and other public infrastructure], not the industry. The industry does not own these assets; the public does. Under these circumstances, it is entirely reasonable that the public should be able to charge what it believes to be a fair price. There’s no doubt that excessive fees can curtail deployment and it would be praiseworthy of the FCC to tackle that. But the governments they are hemming in don’t seem to appreciate being told what is reasonable and what isn’t. The new rules may undermine deployment deals that already exist or are under development. After all, if you were a wireless company, would you still commit to paying $2,000 per facility when the feds just gave you a coupon for 80 percent off? And if you were a city looking at a budget shortfall of millions because of this, wouldn’t you look for a way around it? But the basic market economics of this don’t seem to work out. Big cities cost more and are more profitable; rural areas cost less and are less profitable. Under the new rules, big cities and rural areas will cost the same, but the former will be even more profitable. Where would you focus your investments? The FCC also unwisely attempts to take on the aesthetic considerations of installations. Cities have their own requirements for wireless infrastructure, such as how it’s painted, where it can be located and what size it can be when in this or that location. But the FCC seems (as it does so often these days) to want to accommodate the needs of wireless providers rather than the public. Wireless companies complain that the rules are overly restrictive or subjective, and differ too greatly from one place to another. Municipalities contend that the restrictions are justified and, at any rate, their prerogative to design and enforce. “Given these differing perspectives and the significant impact of aesthetic requirements on the ability to deploy infrastructure and provide service, we provide guidance on whether and in what circumstances aesthetic requirements violate the [Communications] Act,” the FCC’s order reads. In other words, wireless industry gripes about having to paint their antennas or not hang giant microwave arrays in parks are being federally codified. “We conclude that aesthetics requirements are not preempted if they are (1) reasonable, (2) no more burdensome than those applied to other types of infrastructure deployments, and (3) published in advance,” the order continues. Does that sound kind of vague to you? Whether a city’s aesthetic requirement is “reasonable” is hardly the jurisdiction of a communications regulator. For instance, Hudson, Ohio city manager Jane Howington writes in a comment on the order that the city has 40-foot limits on pole heights, to which the industry has already agreed, but which would be increased to 50 under the revisions proposed in the rule. Why should a federal authority be involved in something so clearly under local jurisdiction and expertise? This isn’t just an annoyance. As with the net neutrality ruling, legal threats from states can present serious delays and costs. She also points out that the predicted cost savings of $2 billion — by telecoms, not the public — may be theorized to spur further wireless deployment, but there is no requirement for companies to use it for that, and in fact no company has said it will. In other words, there’s every reason to believe that this order will sow discord among state and federal regulators, letting wireless companies save money and sticking cities with the bill. There’s certainly a need to harmonize regulations and incentivize wireless investment (especially outside city centers), but this doesn’t appear to be the way to go about it.